Productive Ageing is the involvement of older adults in society through employment, volunteering, caregiving, education and skill building. In 2020 there will be 248 million people in China aged 60 and over. At the same time, the birth rate continues to drop and family structures are being transformed. In the face of such pressing demographic challenges, the productive engagement of older adults is a clear-cut strategy to strengthen families and communities while simultaneously promoting the health of older adults. From a human capital perspective, an ageing population represents resources to address societal needs; and the active engagement of older adults can enhance and maintain the physical, mental and cognitive health of the older adults. The challenge is to develop policies that support productive engagement and implement evidence-based programs that create opportunities for older adults in active engagement in the community. Contributions of older adults will be necessary for social and economic development of families, communities, and society. 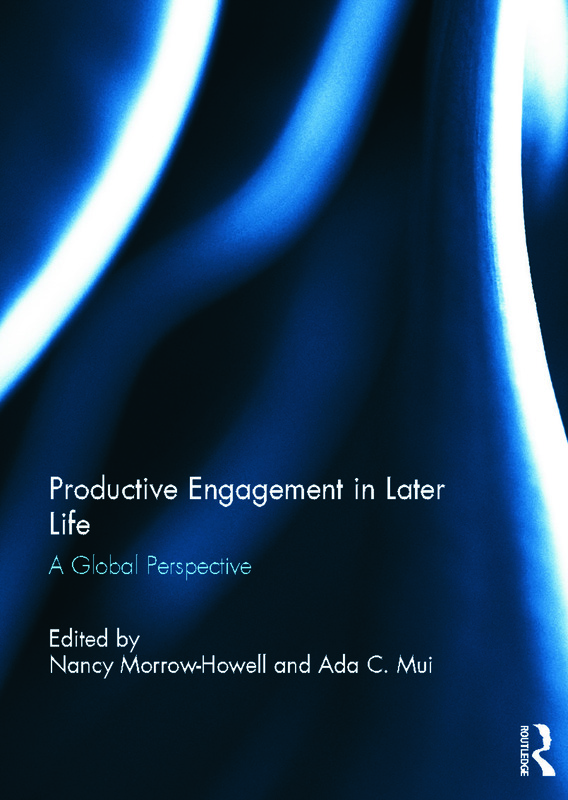 Productive Engagement in Later Life covers the 2009 China conference on productive aging and discusses how to initiate and build productive aging agenda in China and around the globe. This book was originally published as a special issue of China Journal of Social Work. Dr. Nancy Morrow-Howell is Ralph and Muriel Pumphrey Professor of Social Work at Washington University in St. Louis, USA. She is a national leader in gerontology, widely known for her work on productive and civic engagement of older adults. Dr. Morrow-Howell is a fellow of the Gerontological Society of America, chair-elect of the SRPP section of GSA, and a member of GSA’s Expert Workgroup on Civic Engagement in an Older America. She is on the Editorial Board of both The Gerontologist and the Journals of Gerontology: Social Sciences. Dr. Ada C. Mui is a Professor of Social Work at the Columbia University School of Social Work, USA. She has been recognized as one of the leading social gerontologists in cross-cultural research. She is a Fellow of the Gerontological Society of America and an Honorary Professor at Beijing Normal University, Beijing Youth Politics College, and the University of Hong Kong, China. In Taiwan, she is a Research Fellow at the Social Policy Research Center at the National Taiwan University.